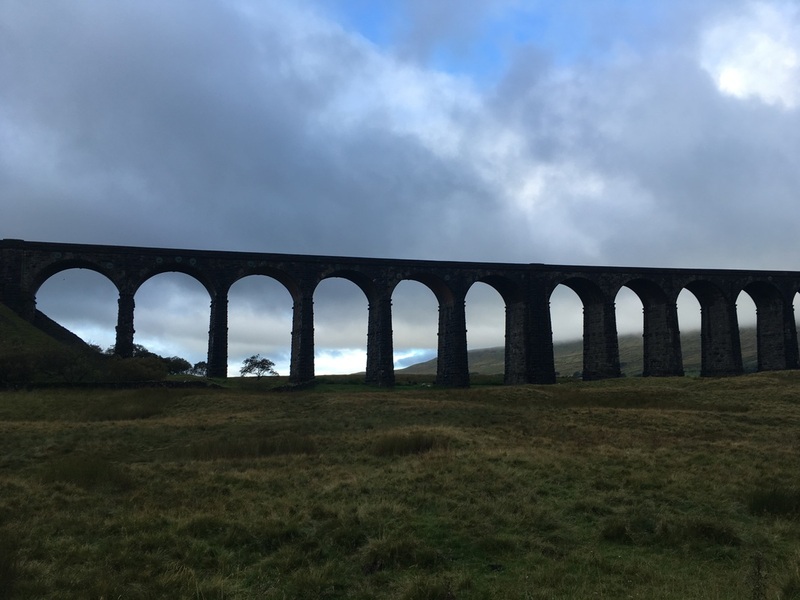 With the children staying at their Grandparent’s this weekend we were able to do a much bigger walk up two of Yorkshire’s famous peaks, Whernside and Ingleborough. 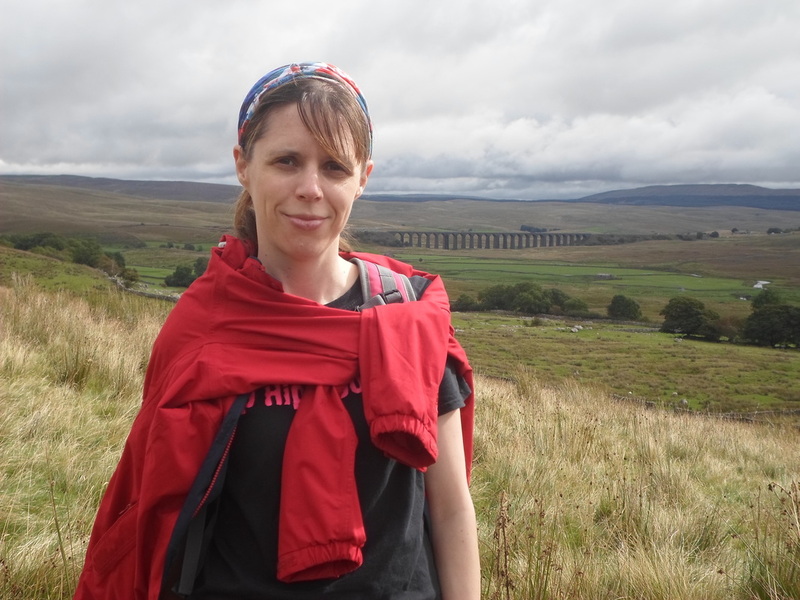 After our walk last week to Brimham Rocks my back felt sore and with my hip progress being checked by my physio I mentioned it whilst I was there. I’d lifted my Daughter from a gate which it seemed had been a very bad idea and earned me a week off the gym, but walking is still allowed! I’ve mentioned before that I wanted to do a charity trek and the first part of making that a reality was registering my place on a trek on the Great Wall of China in May 2017. 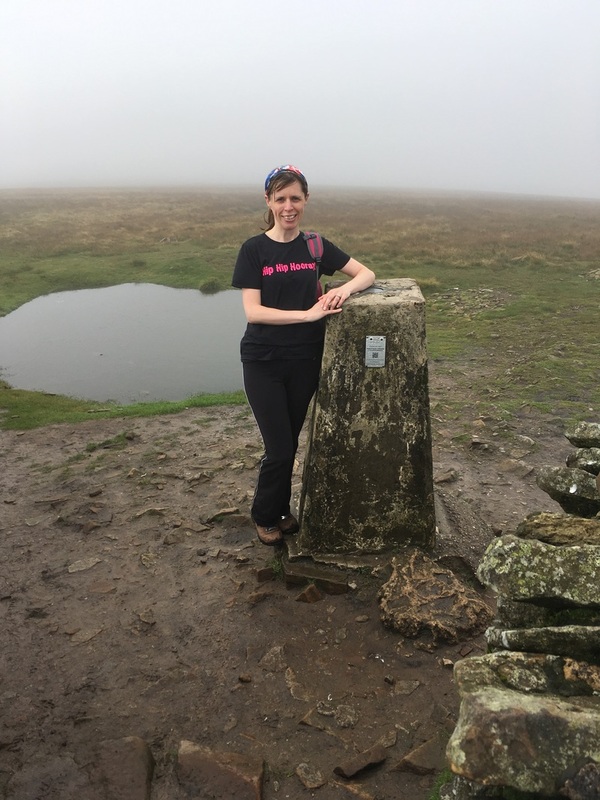 I’ll be raising money for The Ectopic Pregnancy Trust, a charity close to my heart because I suffered from one myself, and that’s what spurs me on to do this challenge. If I can raise awareness and vital funds for them I will be so pleased, so what’s a few blisters along the way?! My fitness has really been improving over the year with our walks and a few gym sessions, but with my charity trek being booked I need to do a few bigger walks and it’s not fair to drag my little people along on these. Although I’m massively proud of how far they have been walking. 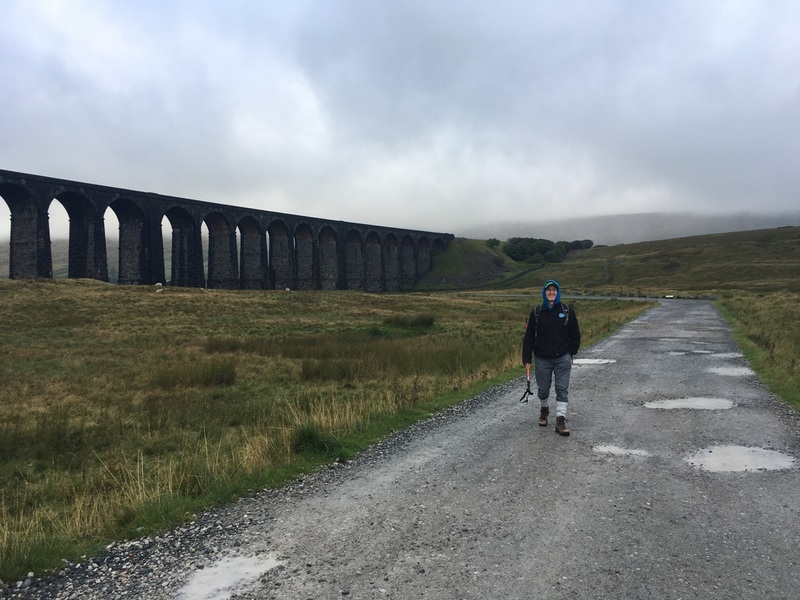 An early Sunday morning after a few days of rain we set off into the Yorkshire Dales for Ribblehead viaduct where our walk would start! The viaduct impressively loomed out of the mist and being quite early there was hardly a sole about. 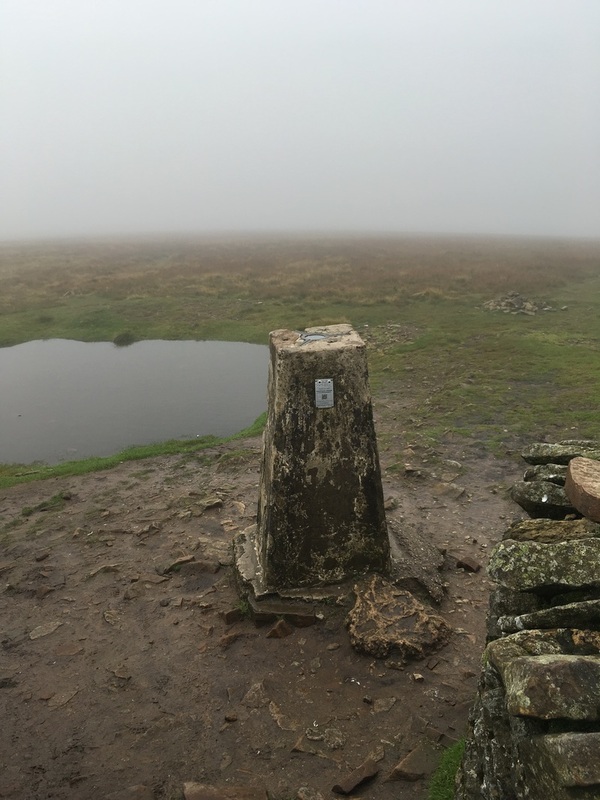 Whernside, the first peak that we would be walking up was shrouded in mist and couldn’t be seen. Eek! Were we in for a soaking? 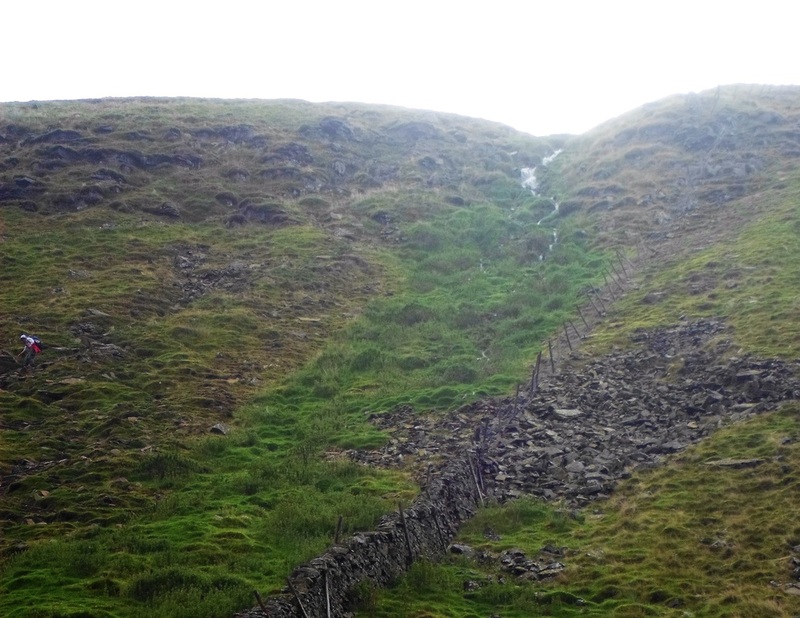 The ascent up starts quite gentle but soon gets your heart pumping with a few steep inclines. We’d set off in hoodies and coats all wrapped up but were soon stopping to strip off to t-shirts. The mist made visibility quite poor so we couldn’t appreciate the fabulous view that must have surely been there. Sometimes off the side of the path was just a white out of cloud and the presumed big drop! 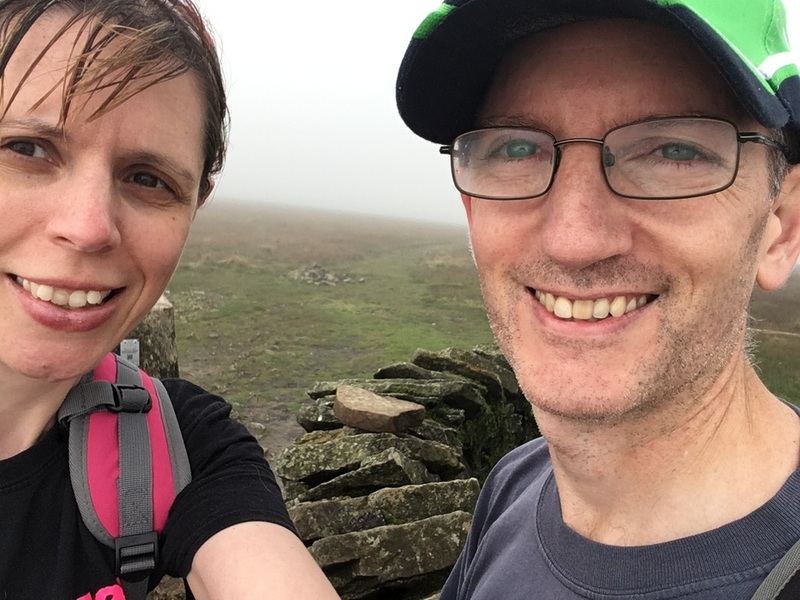 Our leg muscles were definitely getting a workout but suddenly the path seemed a little flatter and we spotted the gap in the wall we had been looking for that would reveal the trig point. We had reached the summit and I was in one piece! 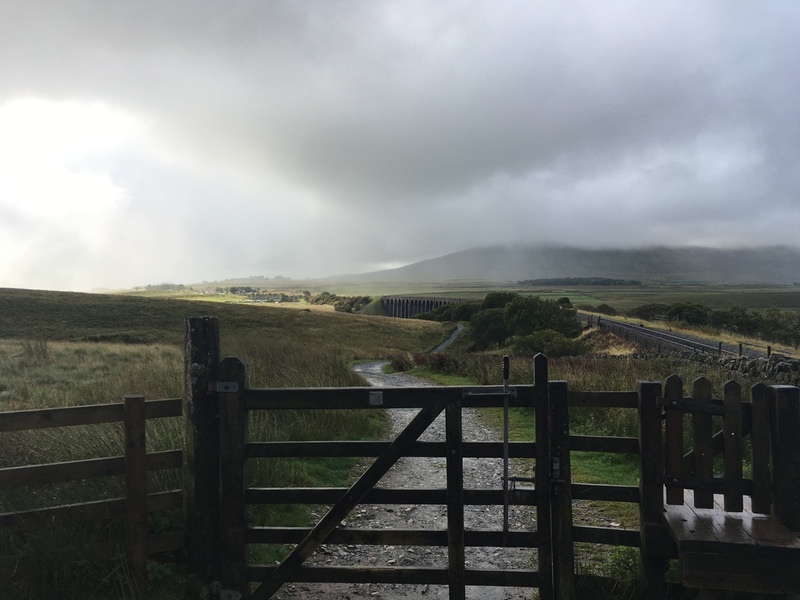 Now on to the next one with renewed confidence in myself, we made our way down Whernside’s steep paths and thankfully could see where to put our feet as the weather cleared and we saw a little sun. 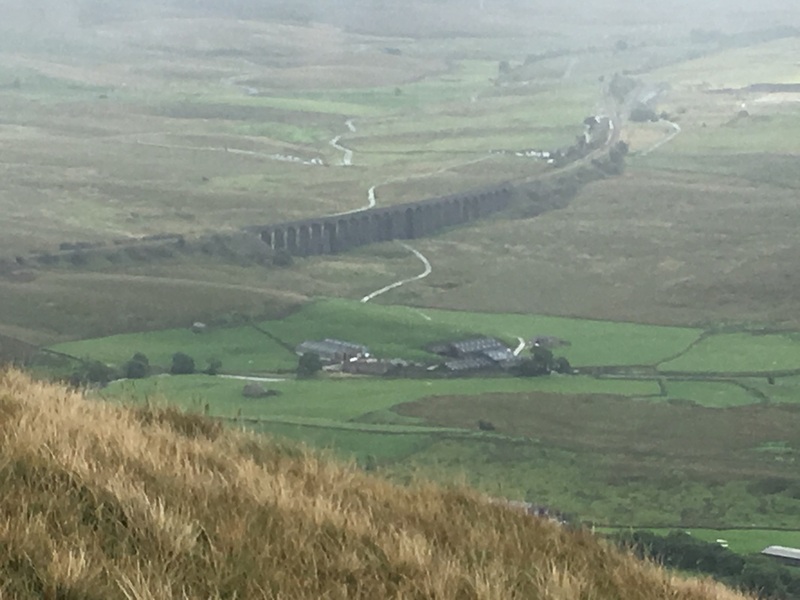 In the distance we could see Ribblehead Viaduct and where we had set off from. 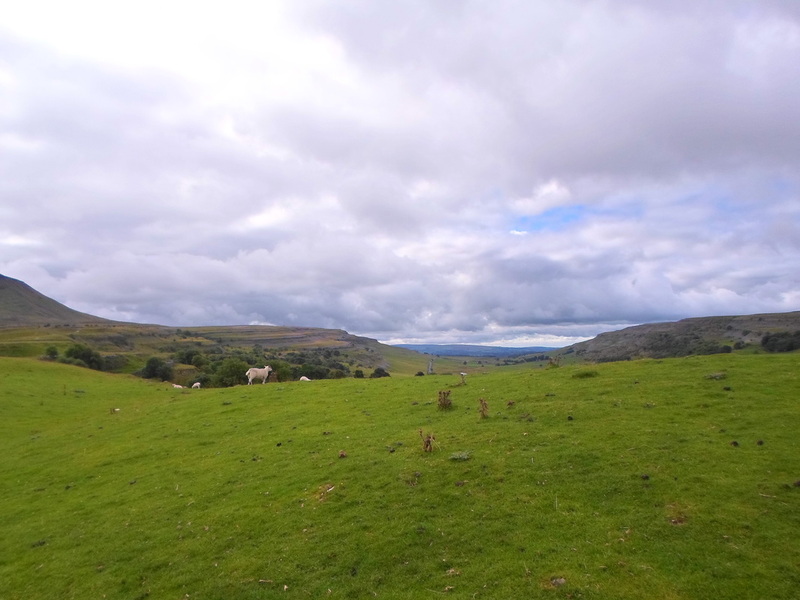 Down through fields, over stiles and past the limestone pavements we were soon nearing Ingleborough. Hmm, it started looking awfully big and real all of a sudden! My Hubby asked me two questions, “Are you stubborn? Are you going to do this?” The answer to both of course was “Yes”. 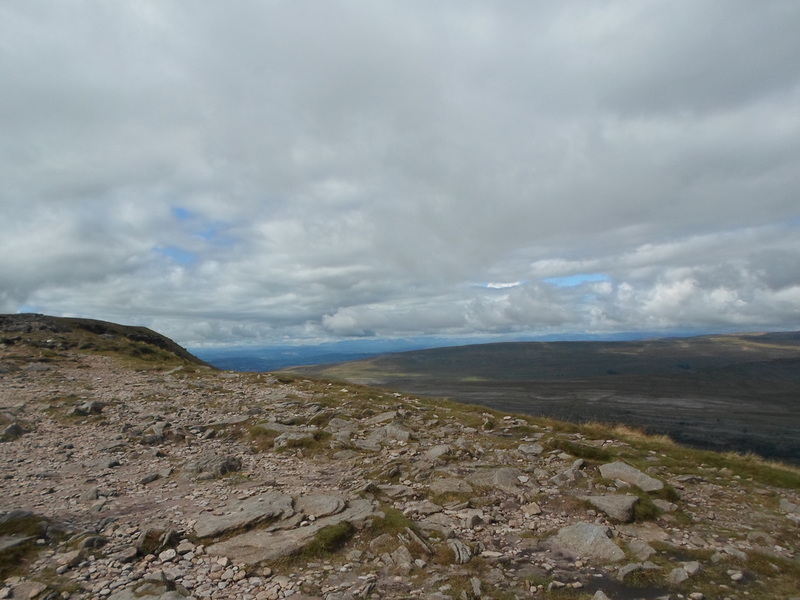 It was hard work again as we walked over new laid rock slab paths that went up, down and round, passing over bogs and streams until we were at the bottom of a very steep path that would take us up to the summit. 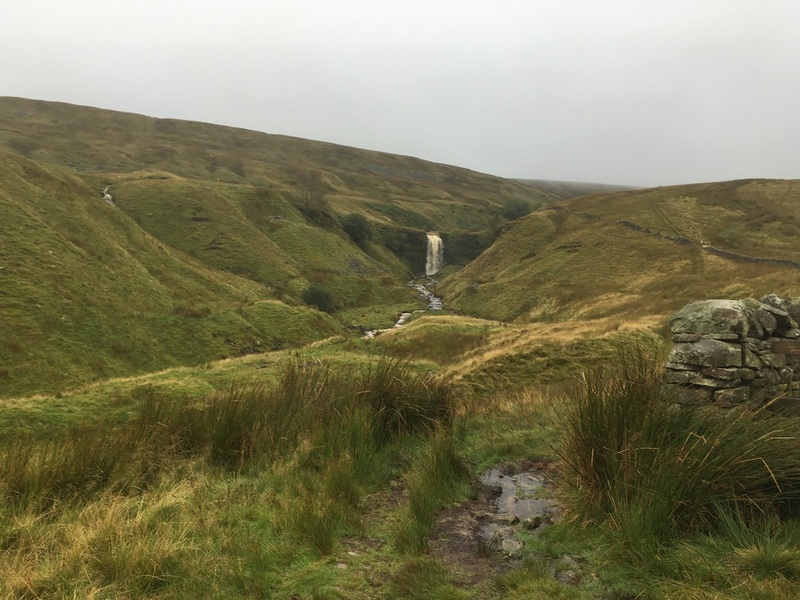 At times the ‘path’ up sees you scrambling nearly on your hands and knees with vertiginous drops and a spectacular view. It was by far the hardest climb I have ever done and you are fooled into thinking you have reached the summit, but no there’s more! Tired and with achy legs we were greeted at the the actual summit with a 360° view, absolutely spectacular. A steep descent and we made the long walk back to the car, along footpaths, over streams, stiles and a detour along the road. In all we had walked about 18 miles, the furthest I have ever walked. As we had made our way around I had realised it was exactly a year ago I had the surgery on my left hip. What a great anniversary! I was so overwhelmed, proud of us and tired by the time we got back to the car I burst into tears! 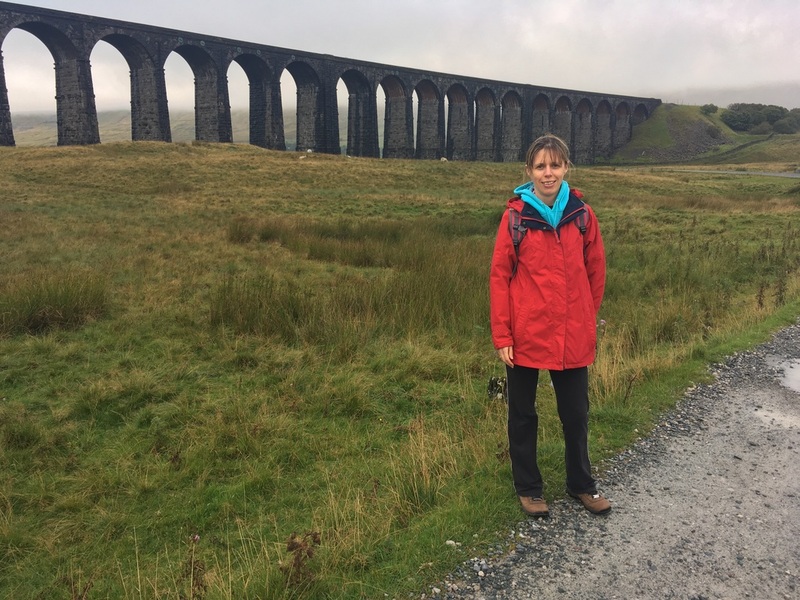 We had walked two of Yorkshire’s great peaks, I was still in one piece (maybe with a few blisters) but a great achievement in my training towards conquering my Great Wall challenge. 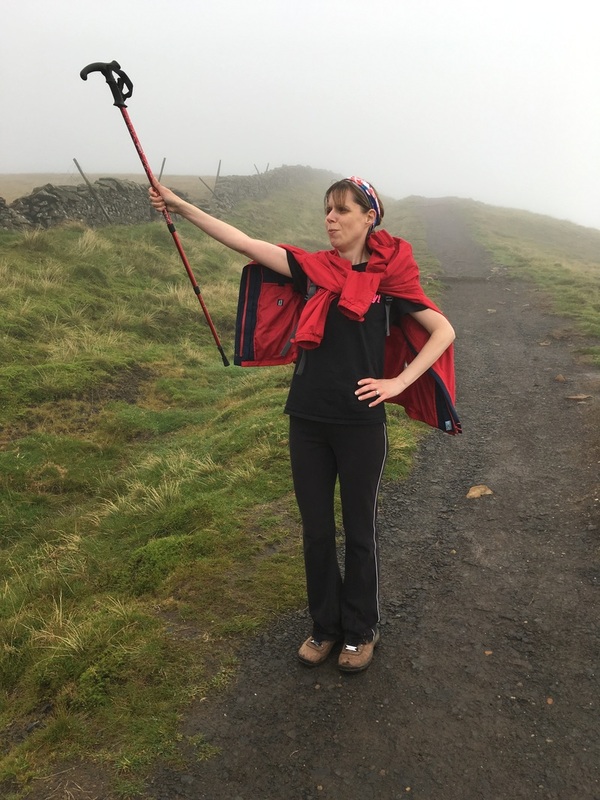 You can read more about my challenge on my Justgiving page. It certainly was, I don’t think we’ve walked together like that for about ten years! Thank you Annette, yes it’s getting quite close now eek! Thanks Lauren, I’m actually planning the Y3P in the summer too! I must be mad but you’re right I’ve come such a long way in my recovery. Thank you for reading Kel. 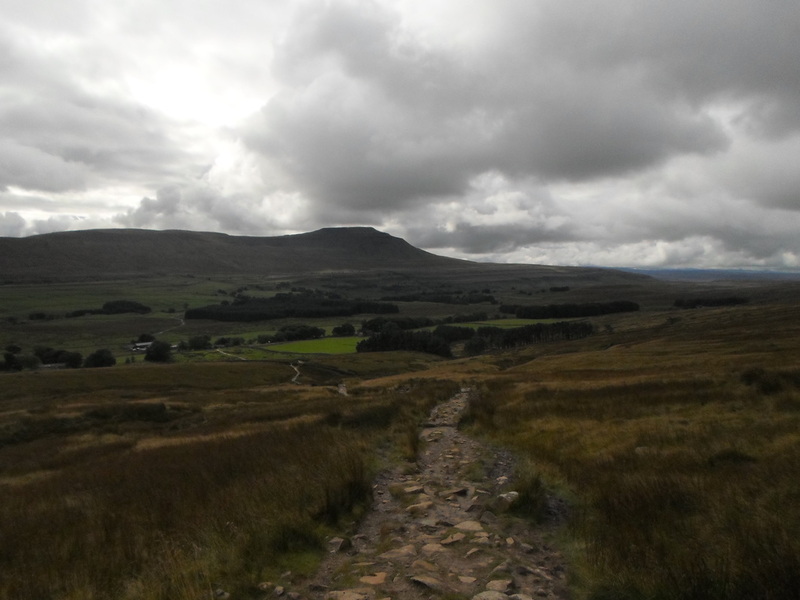 I’m hoping to do all three Yorkshire Peaks this year but we’ll see! 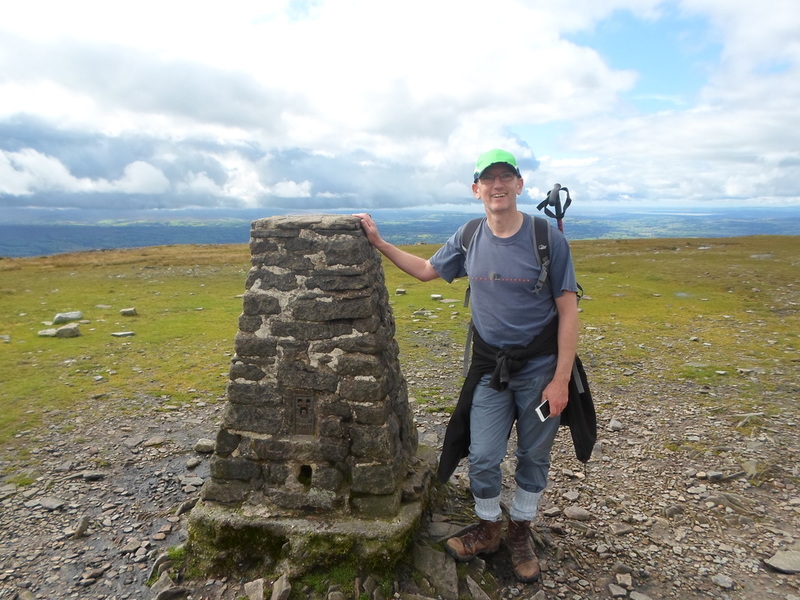 Hope you get to try Ingleborough. 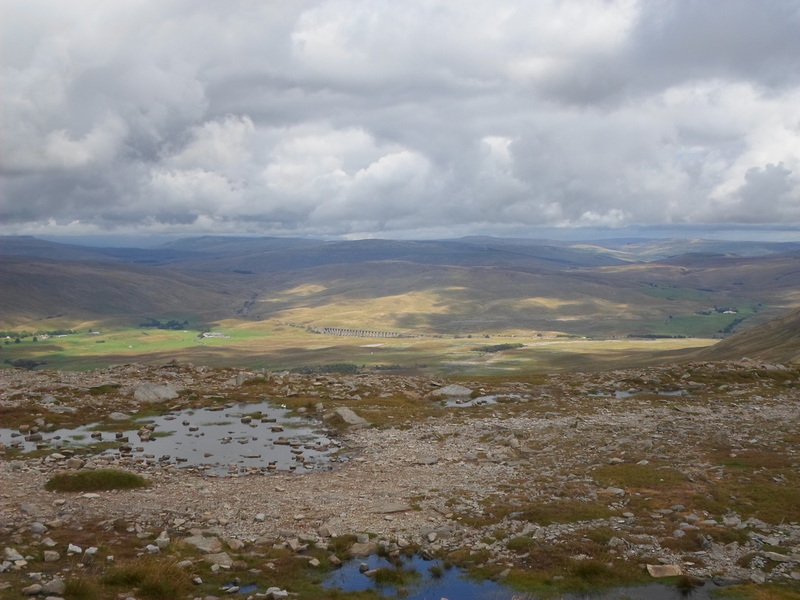 A great part of the world, love the hills around there but Ingleborough in particular! Good luck with the training and the challenge. 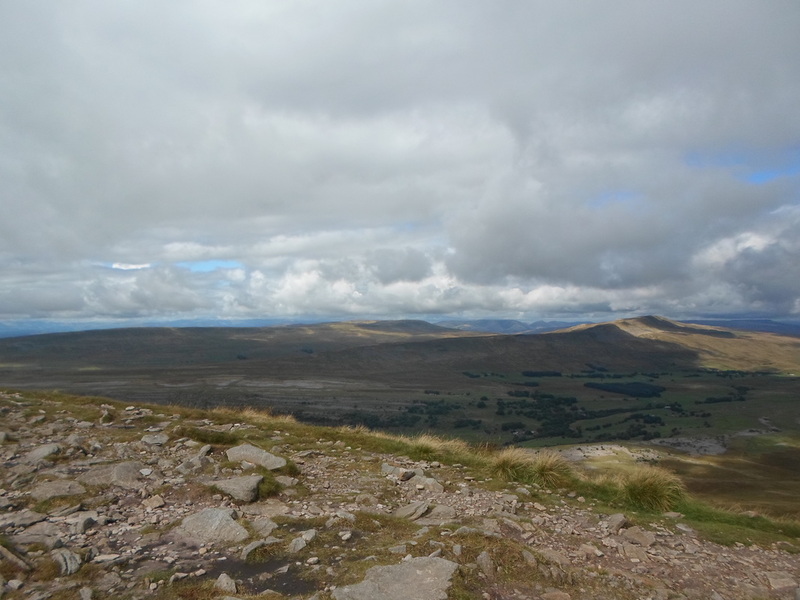 The views from Ingleborough were stunning but poor Whernside was shrouded in mist. Thank you for reading.